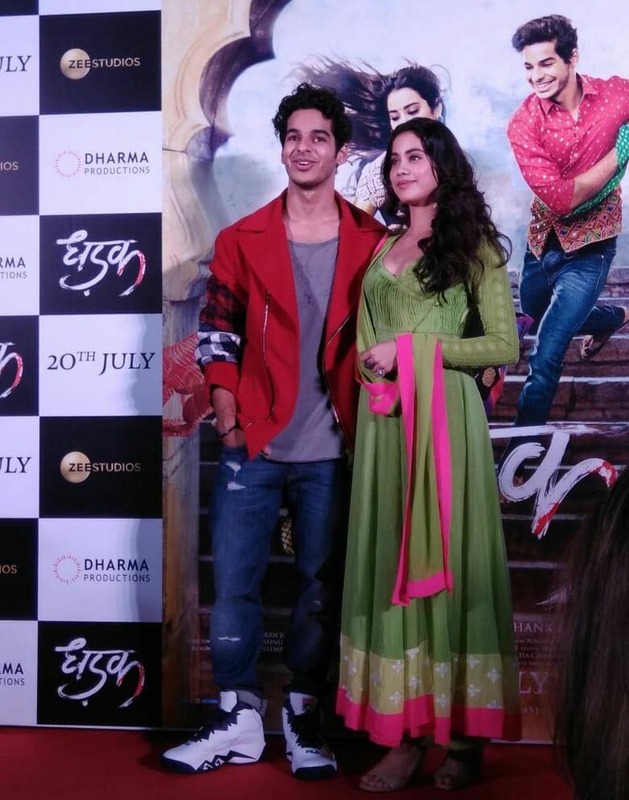 Mumbai, June 12, 2018 (Akash Sharma): Janhvi Kapoor and Ishaan Khatter’s much awaited film was launched at an event in Mumbai. The film set in Rajasthan is a official adaptation of Nagraj Manjule’s 2017 hit Sairat. The 3-minute long video takes us to Janhvi and Ishaan’s journey of love, which initially was one-sided. On talking about adapting Sairat, director Shashank Khaitan said, “I was extremely nervous to adapt Sairat. The story is relatable and I wanted tell the story to everyone. I am that I could make Dhadak. Also, I am extremely proud of Janhvi and Ishaan." Dhadak directed by Shashank Khaitan is produced by Zee Studios and Dharma Productions. The film is slated to release on 20th July 2018.